On the second day of my Birthday celebration we stopped in San Jose to visit the famous, Winchester Mystery House. If you've never heard of the Winchester Mystery House let me explain it a little. The Winchester house was owned by Mr. and Mrs. Winchester of the famous Winchester gun/rifle fortune. Sarah Winchester had only one child and lost her to phenomena. Sadly a year later she lost her husband. Sarah believed in the spirits and she believed that she would continue to live as long as she continued construction on her house. This idea was affirmed to her one day in one of her seances that she frequently held at her home. Due to this idea construction began in 1884 and continues until 1922. That's 38 years people! She spent 5.5 million dollars over the years on construction. The original estate was 161 acres and had orchards along with the home. Fruit was harvested every year and sold as another investment. The home boast 160 rooms and 47 fireplaces. It has 10,000 windows and 2,000 doors. To paint the exterior of the mansion it takes 20,000 gallons of paint. The Winchester house is a National Historic Place and a California Landmark. It also survived the earthquake of 1906 but Sarah closed off certain parts of the house after it. When she died the house was left as it currently is... construction stopped and no one else ever moved into the house. Doors lead to no where. 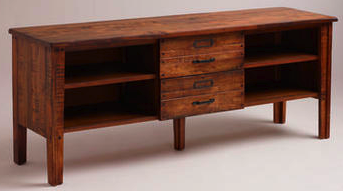 Cabinets open to the outside. The strange things go on and on. You can tell the house use to be semi normal before Mrs. Winchester got her hands on it. All in all the Winchester house was pretty interesting. If you're ever in San Jose check it out. The stairs are really odd though and kinda made me dizzy! 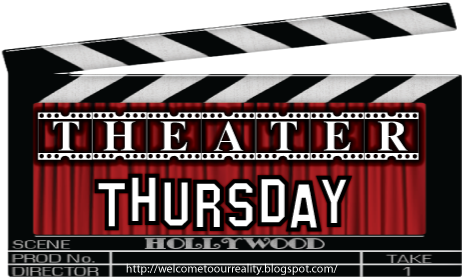 It's Thursday and around here that can only mean one thing... it's Theater Thursday! This week's featured movie is... Bridal Fever. Gwen and her best friend find themselves as the last two single girls in their group of friends. When Gwen's bff sets out to find a husband she aquires the help of Dahilia who happens to be Gwen's client. Dahilia is more than happy to help her find a husband and she's up to getting Gwen one too. She even promises that they'll get engaged within six months of them following her plan. 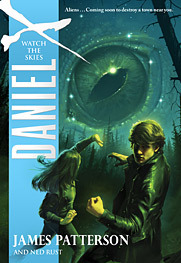 The only problem is that Gwen thinks she might have met her match in a book store employee named Jake (Gabriel Hogan). Jake on the other hand has problems growing up so Dahilia tells her to move on. Gwen and her best friend meet great guys and along the way, Gwen helps get to the root of who Dahilia really is for her biography and so her fans can see the real novelist. Dahilia didn't become an expert in love and romance over night. Watch Bridal Fever. 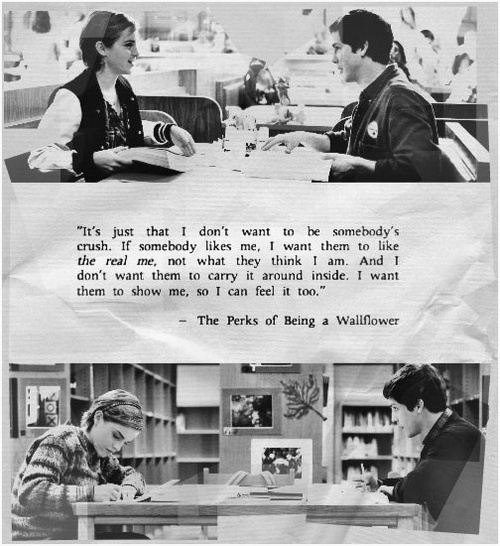 I thought it was going to be some corny, little movie but it actually turned out really cute. Does everyone have a gut feeling? You know that feeling that is said to be naturally built into you? What if it's not? Or what if it's built into you but you just don't know how to follow it's instructions? The old saying goes, "Always trust your gut feeling and never second guess. Your gut feeling is always right." When I was growing up and living my life through the years, I use to think that I had a pretty good gut reaction. I would know when something wasn't the right decision because I would get this feeling in the pit of my stomach. It would be an intuition feeling that affirmed my decision. It was something that I could always trust to help guide me in situations. Somehow in the last few years I think I've lost my gut feeling. Every now and then I'll get a gut feeling about something. The other day I had a gut feeling reaction. I was getting ready to go out of town and someone called me. They were upset and started telling me really unhappy news. Then they put it to me that because of the unhappy news that I wasn't going to get something I had counted on. Naturally, I was upset about the situation and not getting what I had wanted but I believed the person. Maybe there was a little doubt and wondering if it was the truth but I pushed it back. Turns out I was right. I should have listened to that little twinge of a gut feeling. So now I'm here and I'm listening for any little twinge my gut feeling give me. If it doesn't feel right then more than likely it isn't. If it's suppose to be then great... I'll go for it! I'm hoping that my gut feeling will speak up a little louder and that I haven't lost it forever. How about you? Have you ever had a gut feeling? Have you ever lost your gut feeling? The second day of my birthday celebration my mom and I started in Woodside, California. What's in Woodside? The famous national landmark estate, Filoli. I had mentioned wanting to go visit Filoli because it was the home featured on the 1980's classic television show Dynasty. When I found out that Filoli was the estate used for all the outside filming I knew I wanted to visit it. I did some research and found out that the home is open for tours and located only two hours from my house. I was sooo excited to visit it. The outside is exactly as it looks on television. It didn't seem as big as it does on t.v. but that always seems to be the case. The inside of the house is just as grand as the outside. The furnishings are what Dynasty loosely based the interior on and everything is antique. What's really great about Filoli is that you can walk around the entire downstairs of the house and explore each room for as long as you like. Certain areas of each room are roped off but you can literally right up to the couches, chairs, mirrors etc. You can also take as many photos as you'd like minus the flash. Besides just the great interior of the home is the beautifully, landscaped grounds. Filoli is home to multiple gardens and houses some of the most beautiful roses. This lovely pink rose is just one example of the many the grounds keepers have manicured. My mother and I saw at least five different rose colors: white, red, pink, yellow and peach. Not only do they have roses but they have other flowers and fruit trees. We also spied this amazing swimming pool. It's such a shame that no one swims in it. The gardner told us that the deep end is 9 feet! The water was so clear and I just wanted to take a little dip while I was there. Filoli if you ever need someone to do some laps in it let me know and I'll drive right over. After we got done touring the rose gardens and the pool area we made our way over to the infamous sunken garden. The sunken garden was the thing I was most looking forward to seeing in person. It's also the home of the famous cat fight that happened on Dynasty. As you can tell, I was pretty excited to be there! I'm hoping the pond water was a little cleaner on the cat fight day than it was while I was there. That water was pretty green! I didn't see any frogs on those lilly pads either. I can't explain how wonderful of a place Filoli was to tour. If you ever get to San Francisco make the trip down to Woodside. The tour can either be guided or on your own and it's only $15.00 for admission with free parking. Plus your admission helps pay for the estates upkeep. This past week I went on a four day, Birthday weekend adventure! I was lucky enough to be able to have my mom come in and help me celebrate. To start the trip off right we hit the group running once her plane landed and headed over to San Francisco. We hit the Haight area and visited one of my favorite DVD depots.... Ameoba. We also did a little vintage shopping and grabbed some food at Burger Urge. I can't believe how big the burgers were! The meat alone is 1/2 pound. If you're a meat/burger lover then Burger Urge is for you. Once I got my dvd fix and my belly full. We decided to see a few tourist sites. Every time I've been to San Francisco, I've visited Baker Beach. It's such a calm, fun place with a great view of the Golden Gate Bridge. I originally heard about Baker Beach a few years ago from fellow blogger, Claire. Since she's a SF girl she knew about this great spot and had blogged about it. I'm so glad she did! It's one of my favorite spots in SF. My mom had never been to Baker so I was excited to share it with her. I'm pretty for sure she liked it. I love how much darker the sand is there. Plus the black rocks are pretty cool when you can find them. After we left Baker beach, we headed closer over to the Golden Gate to get a few closer photos. I had originally wanted to walk the bridge but it was starting to get later in the evening and we wouldn't have made it across and back before they close it off to foot traffic. I figure I'll go back over to SF in the next few weeks and walk it. You can't really tell in this photo but the bridge is really close to us. We were actually on the access point to where you can talk the walking path up onto the bridge. With the sun going down and only a few more minutes of sunlight left we hit up one other famous landmark... the Painted Ladies. 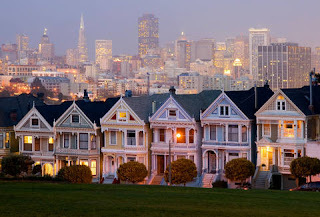 The famous row houses which have been featured in many television shows (the famous Full House home) and movies. Since it was almost dark and my mom had travelled all day long we left San Francisco and made the drive down to San Jose. We knew that the next day was going to be another long one filled with tons of adventures. Today I turn 29 years old. Another year gone and now I'm into my last year of my twenties. I've decided to try to make my last year in my twenties a full throttle, pedal to the metal, fun celebration. I'd like to try to do something fun each month and then the big culmination being my 30th birthday. 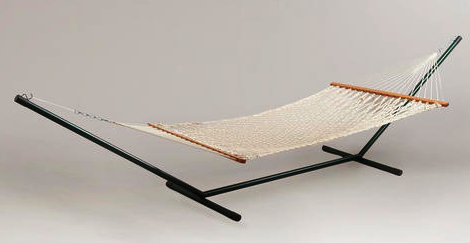 If I'm going to turn my scary age of 30 next year then I'd like to do it somewhere in style. I'm thinking a huge vacation... an entire week, somewhere far, far away. So the question is... where would you go for your 30th Birthday? I've got a year to plan this! I'll update with my birthday celebration from this year in the next few days! It's Thursday and that can only mean one thing... it's Theater Thursday! 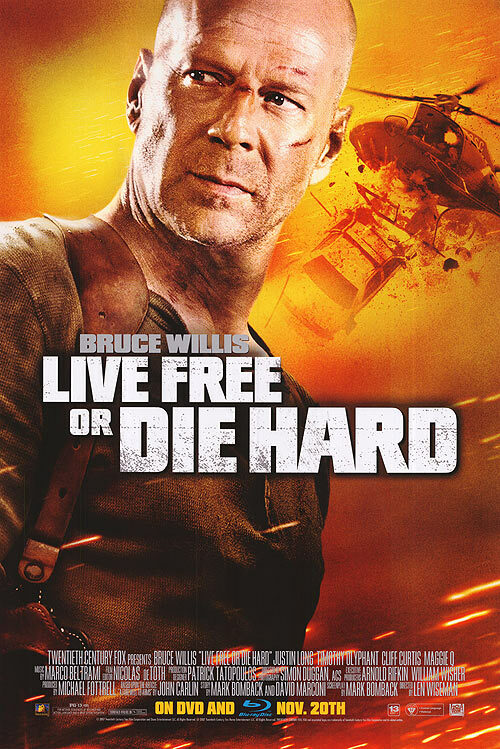 This week's featured movie is, Live Free or Die Hard. Detective John McClane (Bruce Willis) is back and this time he's not just helping one city, he's helping the entire country. The country is getting ready to celebrate Independence day but when a terrorist group decides to overtake all government cyber systems it throws Americans into a panic. The only person who might be able to help is a young computer hacker, Matt Farrell (Justin Long). When John is sent to pick up Matt he has no idea that he's about to get involved in something much bigger than an average pick up. John realizes he'll be spending his holiday weekend trying to keep himself and Matt alive while trying to hunt down the terrorist group who's causing all of these problems. If he doesn't then it could mean that America may never be what it was before. The terrorist also like to get personal and when John starts causing problems for them they decide to make it personal by taking someone close to him. 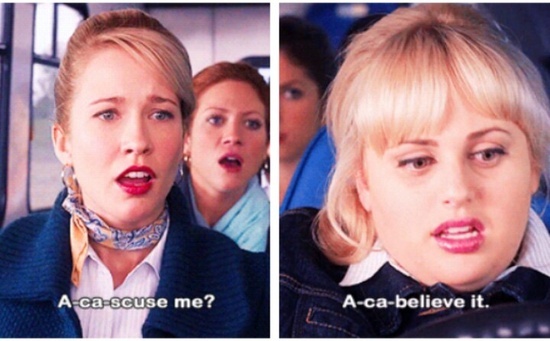 I watched Pitch Perfect about two weeks ago and since then I have been obsessed! The movie is hilarious. The music is catchy... so much so that I bought the entire soundtrack. The jokes are so funny that I find myself saying them over and over. Does anyone else love this movie as much as I do? I drive around with the windows down and it turned up loud. I'm sure I've turned a few heads. Ha! 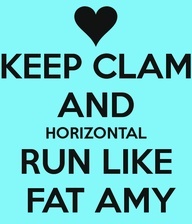 So indulge me, if you haven't seen Pitch Perfect then watch it. I started thinking about things I'd like to have and since my birthday is getting closer I decided to make a little shopping list! 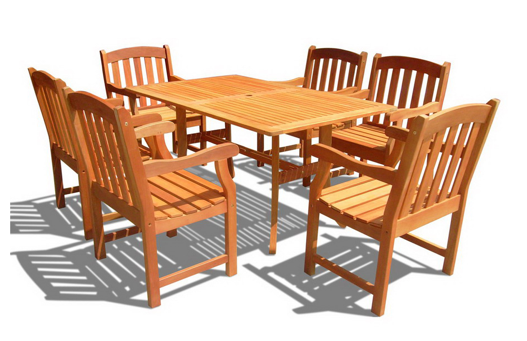 VIFAH Atlantic/Marley 7-Piece Wood Patio Dining Set $1249.00 from Lowes. 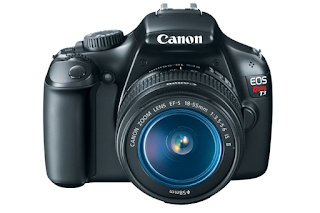 Canon EOS Rebel T3 12.2 MP CMOS Digital SLR with 18-55mm IS II Lens and EOS HD Movie Mode (Black) $350.00 on Amazon. Hey... people always say go big or go home. Why not wish for the most expensive things? I tried it on with some Aztec shorts but everyone that I gathered opinions from wasn't a fan of them. Um... I bought them anyways because I liked them. I might even sport them on my Birthday next week. I'm hoping it turns into a nice tan but we'll see... next week I'll be outdoors a lot so hopefully my skin won't get burned again. 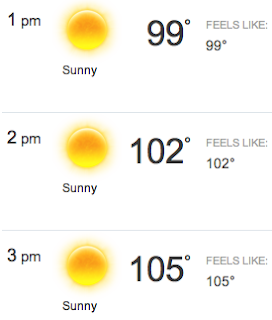 Hope everyone in the Sacramento area stayed cool and out of the heat! Can someone please give this guy my number? I've had the biggest crush on him since the early 1990's. I stuck with him through his career ups and downs. I cried while watching A Walk in the Clouds. I laughed at his jokes in Bill and Ted's Bogus Adventure. I bit my nails into the quick, hoping that he'd keep that bus going above 50mph in Speed. I was always rooting for him. I'm still rooting for him. Rumor is he's got his own movie that he worked years on getting completed finally hitting the theaters. Congrats Keanu. Congrats. Need a date to the premiere? What's up? I'm Jennifer but you can call me Jen or even Jmo like most of my friends. Now that we both live in California, I can't believe we haven't hung out yet. I mean granted you live in Los Angeles and I live in Sacramento but I mean what's a little 400 miles when you're really into someone? I've even been over to San Francisco which I hear you like to frequent. I feel like you should frequent it the weekend of my birthday. It could be like a Happy 29th Birthday present or as I like to say giving fate a little push. 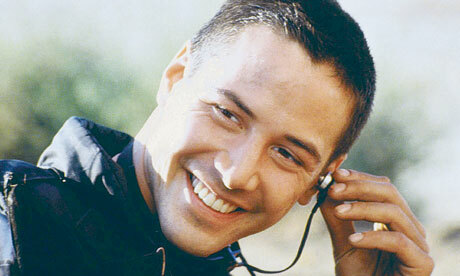 I've seen all these internet memes with the world calling you sad Keanu. Um... I'm pretty for sure if we hung out you'd turn that frown upside down. I'm sure we'd have a lot in common. I don't know what but I'm sure there has got to be something. I might even let you go to second base on a first date. Wouldn't that make anyone smile? See I bet that offer got you smiling already. Anyways, call me. Text me. Facebook me. Tweet me. Instagram me. Email me. I mean I just gave you six ways to either reach me or reject me. I feel like the reaching me would be the better option. I mean I am pretty awesome for someone who hasn't made millions of dollars acting. As an added bonus I have a rocking high credit score. I also have a pimp Kia Spectra that we can roll around in while keeping the earth green. I also have baking skills that Martha Stewart should be watching her back about. Disclosure: I'm being super sarcastic and this open letter to keanu should not be considered serious. But would I love to meet Keanu Reeves and go on a date? Sure! Who wouldn't?!? And I have had a crush on him since the 90s. Someone give him my digits!!!! It's Thursday and that can only mean one thing around here... It's Theater Thursday! This week's featured movie is newer and based on the Nicholas Sparks book, Safe Haven. Safe Haven stars Julianne Hough as Katie, a young woman who's on the run and trying to escape her past. Leaving everything behind Katie finds herself in a small, coastal town of North Carolina. Still living in fear of being discovered, Katie rents an isolated cabin in the woods and takes a part time job at seafood restaurant. Once she meets the locals she realizes that everyone seems to be welcoming her with open arms... including the general store owner Nick (Josh Duhamel). Nick is a young widower who's raising two small children. When his wife died he decided to stay in town and keep running the general store with his uncle. However since then, he's been living his life single and taking one day at a time. When Katie walks into his store and into his life he realizes that things could be looking up. Katie on the other hand is scared of everyone and doesn't know if she can let her guard down. Can these two end up together? Can they both let their guards down? If you haven't seen this movie check it out. It's based on a Nicholas Sparks novel. Since a lot of my coworkers and I actually worked on Memorial Day we decided to bring different things into work for the week. I made this chocolate cake and people seemed to really like it! I might try to bake something really different this week but since my schedule is getting pretty hectic I don't know if I'll be able to find the time. Baking is no joke! 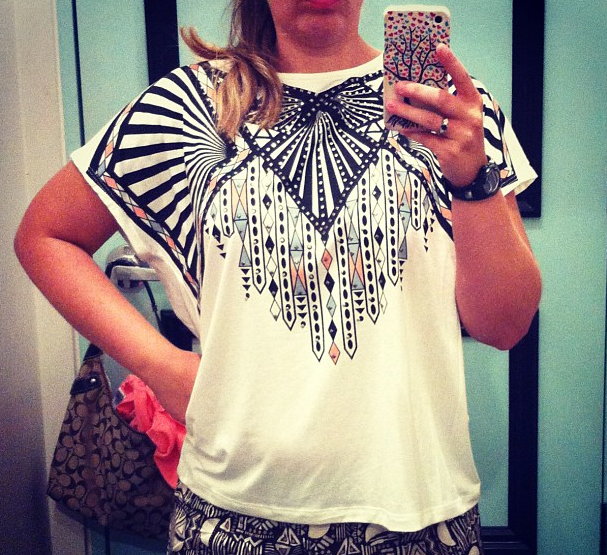 Is anyone else obsessed with the Aztec theme going on in fashion right now? I love it! I can't get enough soooo when I saw this wedges I knew I had to have them. I've already worn them at least 4 times. And don't worry mom that's the henna tattoo I got while at the fair. Totally. Freaked. Me. Out! It was just chilling in my garage acting like it owned the place. I can handle spiders and bugs. Reptiles are a different story. I can't handle them and I'm deathly afraid of snakes. I can't even think about it too much or I start to stare at the ground making sure one isn't near me. This thing just kept looking at me and we had a stare off contest while I figured out what to do. I also called my mom and panicked. I'm pretty for sure it's a helo monster but I could be wrong. The next day was at least a little bonus because I got something good in the mail! I've been eying these teardrop necklaces for months but never bought one because they usually range anywhere from 34.99-49.99 dollars in price and frankly that's a little too pricey for a piece of costume jewelry. When I saw his on ebay for under 8.00 dollars I jumped at the chance. It came in the mail on Friday and it's perfect! Who knew rocks could be so expensive?!? And that in a nutshell was my weekend.